Summer is over and the children are starting a new year at school, an expensive time for all parents, buying uniforms and books. Likewise for Kenyan parents too who, until recently, had to pay school fees as well or not attend school, but I’m very pleased to inform you now that the Kenyan Government do pay teachers wages for primary school education only (not senior school) and have recently began to sponsor a classroom and one teacher’s pay for nursery education, but not all schools yet. Unfortunately there is still no ‘special needs care’. Peacemakers has some responsibility for Kuvuria School which is situated close by our Resource Centre. It has primary and senior classes and also a handicapped residential unit. Young people of all ages from the unit attend the primary school! Christine is on the Board of Governors and is a very active member in their personal care, transporting them to hospital appointments. 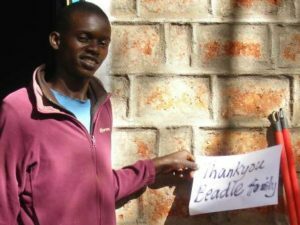 At this point I would like to extend my thanks and appreciation to friends of Peacemakers who have faithfully supported (and still are) a needy child through school and who have knitted green school jumpers and organised fund raising events for improving their living facilities and funding disabled toilets and wash rooms on school premises. 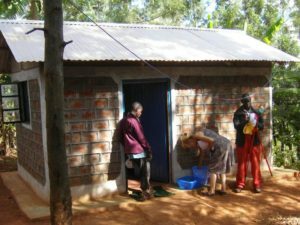 On Christine’s return to Kenya in July, the Irish Embassy visited our Centre to inspect how we spent their donation, they left very satisfied and pleased with the outcome. 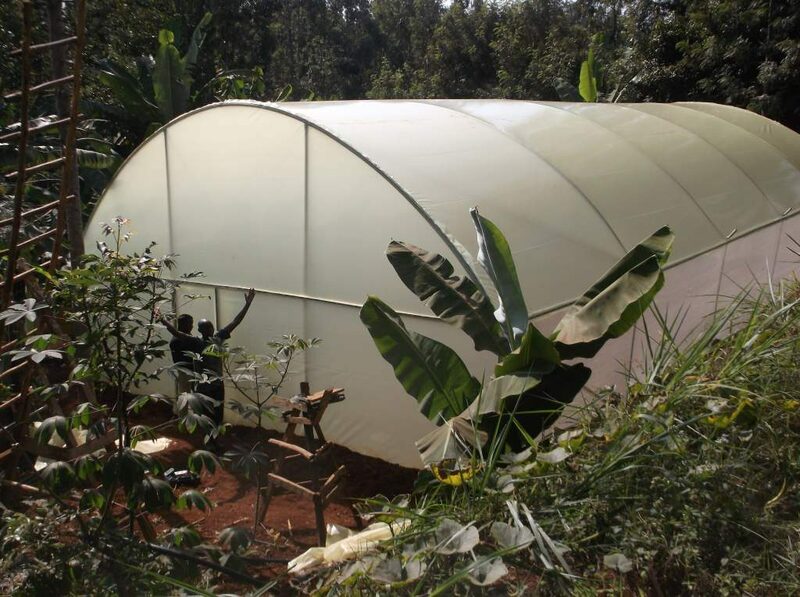 One of the conditions of spending was to buy and erect a greenhouse to help the community to become more self sufficient. We are endeavoring to start a Mother/Grandparent/Toddler group at our Resource Centre and also an Adult Reading Class for the non educated adults whose parents were not able to pay school fees. 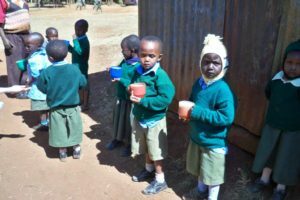 Liz Darlington who has volunteered and visited Kenya before, is planning to go again in the new year to help Grace Kauma with the next stage. Her visit has been delayed because of the Kenyan Presidential Election’s default and the re-Election has now been scheduled for the 17th October. Liz is going to organise a Fund Raiser before she leaves for Kenya, this will help pay for her visit and to pay for the registration of these two groups and other expenses incurred. So if you would like to support her in any way, please get in touch with me. Kim Lambden and her colleague Dr.Len Almond have just completed an inspirational learning book for under 5s ‘Step into Purposeful Play’ and I have sent a copy over to Kenya for Grace and Liz to introduce and take into classes in Kenya. Liz will also attend one of Kim's training courses before she leaves for Kenya. As you know we are in a transition stage in Kenya. We have stopped paying wages and are encouraging the Kenyans to become self employed, which is a very difficult thing to achieve, simply because the communities are so poor and cannot help themselves even though they are trying. 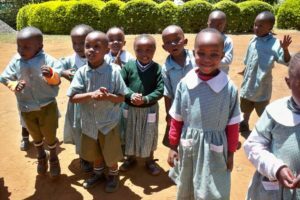 I have written several times to my MP to ask if they could divert a little amount of the huge Aid the UK sends to Kenya and Commonwealth countries, to cover overheads and help maintain the Resource Centre, but without success. We have also written letters to Business Houses in Kenya (list of names provided by Minister for Kenya ) to support financially the Centre at the same time enjoying the facilities for holding conferences there and benefiting from their investment, without response. We have had, on the other hand, a financial one off donation last year from the French Embassy and this year a donation from the Irish Embassy. Nothing from the British Embassy although they have been approached. Also we won the Good Samaritan Award. Leading up to the General Election in August. We held election campaigns on our site and I'm sure will be used again, in the build up for the re-Election. So you can begin to see how difficult it is for the poor to have a voice and to receive any help from their own Government. The Presidential Election that took place 9th August 2017 was judged as default and a re-Election was planned for 17th October, however, this has now been changed to 26th October 2017. All our plans have come to a halt re. ECD Educational Dept. as nobody will commit themselves because the Government is still not settled. Make sure you see our next bulletin when Tom Beak’s visit to Kenya will be featured and hopefully the situation in Kenya will be more settled.